Visiting the Battlefield Preserve? Click here for a FREE audio-tour of the site which you can download to your phone. Over 450 acres of the core battlefield of the Battle of Camden are owned and managed by Historic Camden. 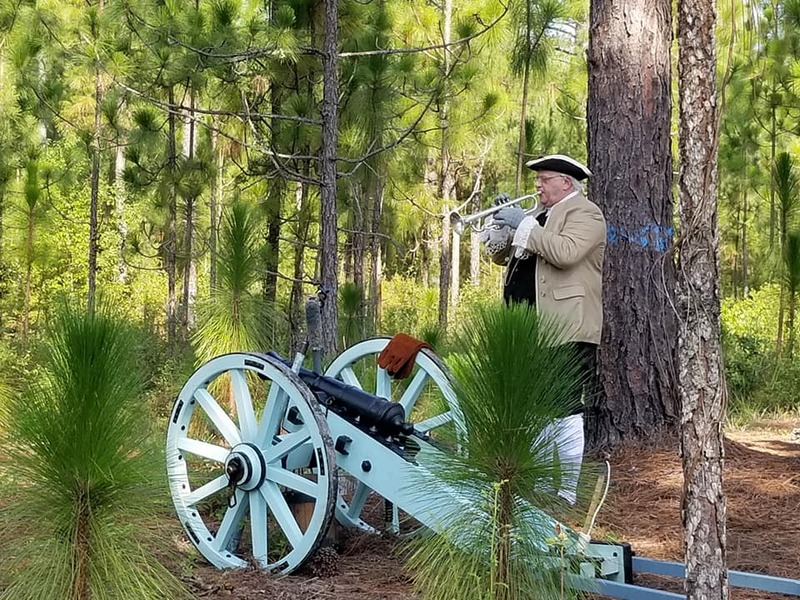 The Camden Battlefield and Longleaf Pine Preserve is located about eight miles north of the Historic Camden Broad Street campus. From Camden, head north on U.S. Highway 521, then bear left for 2.2 miles on Flat Rock Road (S-28-58), which bisects the protected site. In 1780, Camden was the oldest and largest city in the Carolina backcountry. It was strategic to both the British Army, which occupied the city, and the Americans in the Revolutionary War. Following a series of blunders before and during the Battle of Camden, the American army under command of Major General Horatio Gates was soundly defeated. The Americans retreated in disarray and left behind many hundreds of casualties and soldiers captured. Major General Baron Johann DeKalb, a prominent German-born Continental officer, was mortally wounded during the battle and died three days later. With fewer troops, the British under Lt. General Lord Cornwallis won the battle with far fewer casualties. Captured Patriots were held, and some were executed, at the fortified town of Camden (now the Broad St. site of Historic Camden). Although the Battle of Camden was disastrous for the American cause, it ushered in changes in military leadership that altered the war’s course. After the battle, Major General Nathanael Greene was promoted to command of the Southern Campaign, and his leadership ultimately led to the British surrender at Yorktown, VA.
Visit the Historic Camden Broad Street site to learn more about this significant battle on a guided tour. The Battlefield is open and free to the public. Special tours and events will be announced soon! For a wonderful compendium of primary sources related to the Battle of Camden, see www.battleofcamden.org. Support the Battlefield and Preserve by volunteering or donating! Contact info@historiccamden.org, or donate here. 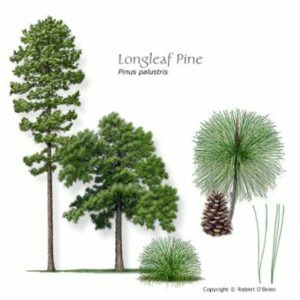 Learn more about the importance and history of the Longleaf Pine forest and our reforestation progress by following the Camden Battlefield and Longleaf Pine Preserve Facebook page! 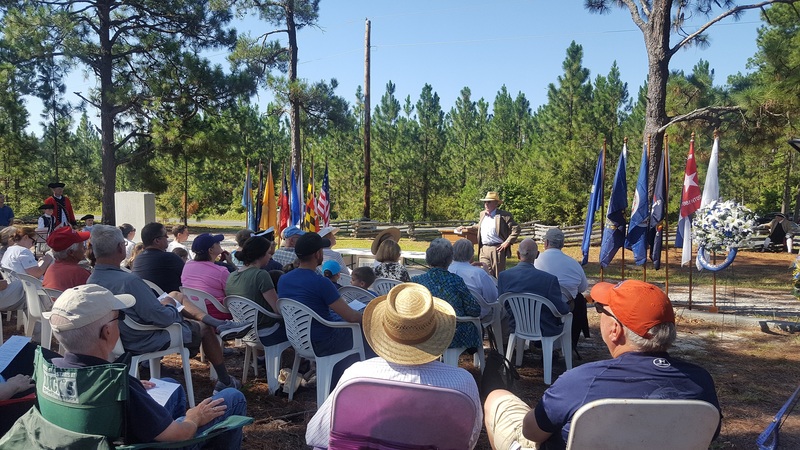 Every year in August, Historic Camden honors those who served and sacrificed at the devastating Battle of Camden. These grounds witnessed more than 1,000 deaths and casualties, and many were left in unmarked graves. Guided tours at 10:30am and 2:30pm.